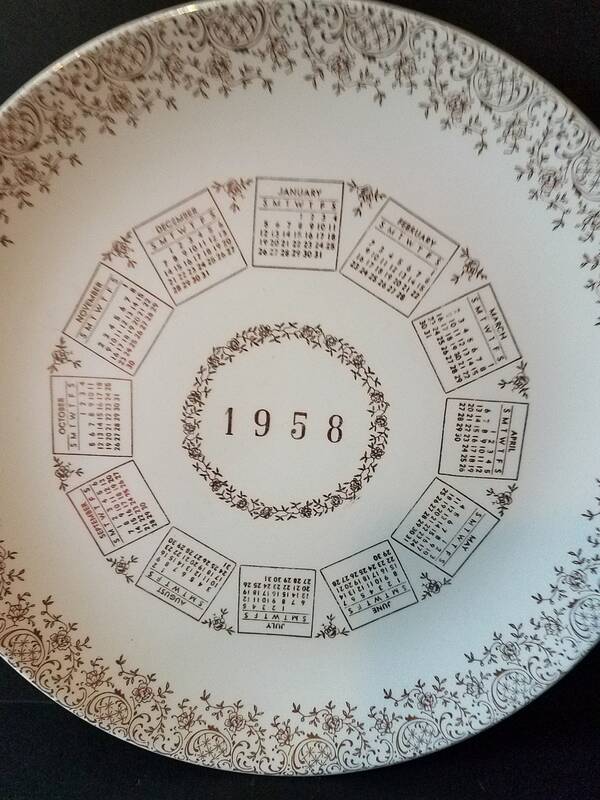 This is a 10.25" Calendar Plate in ivory and gold with 1958 surrounded by a wreath and the calendars circling that. The outer edge has scrollwork, vines and roses. 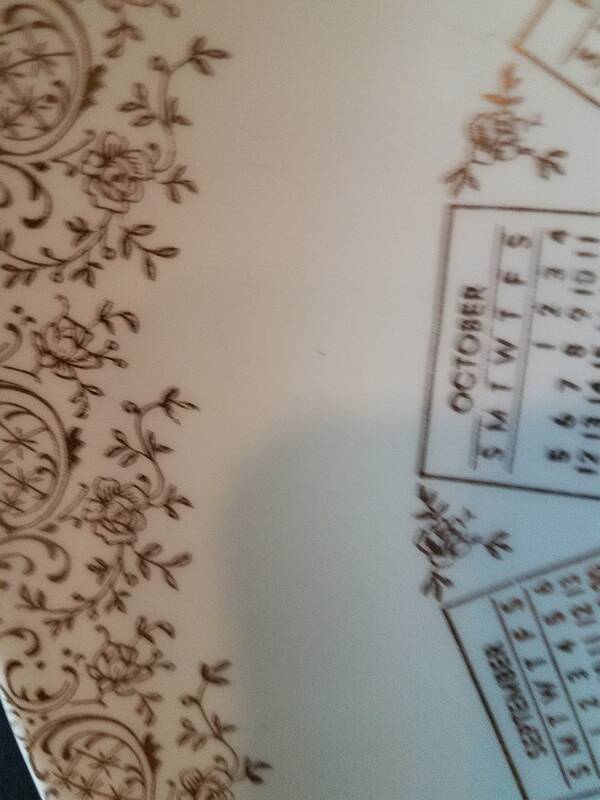 This plate has no markings to indicate who made it. 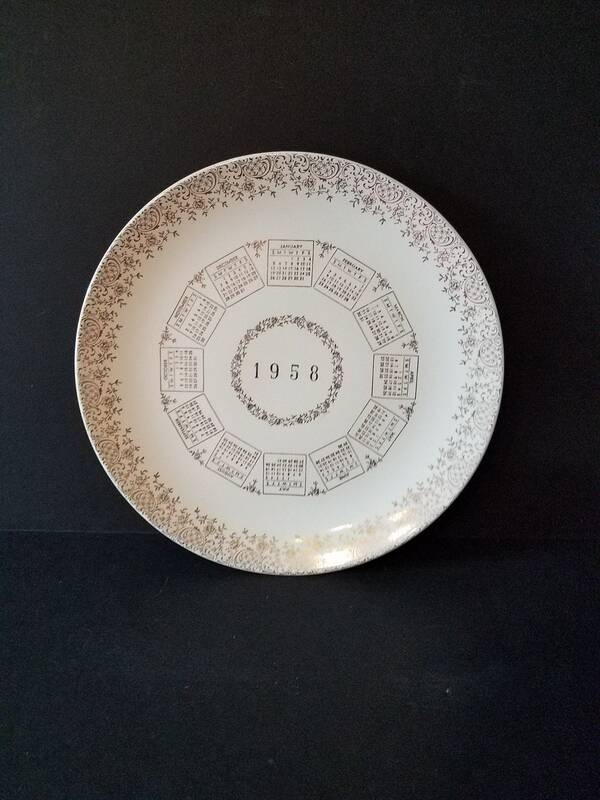 It's in great shape, no chips or cracks or stains. The back has some slight crazing on one side. Crazing is "cracking" in the glaze only. 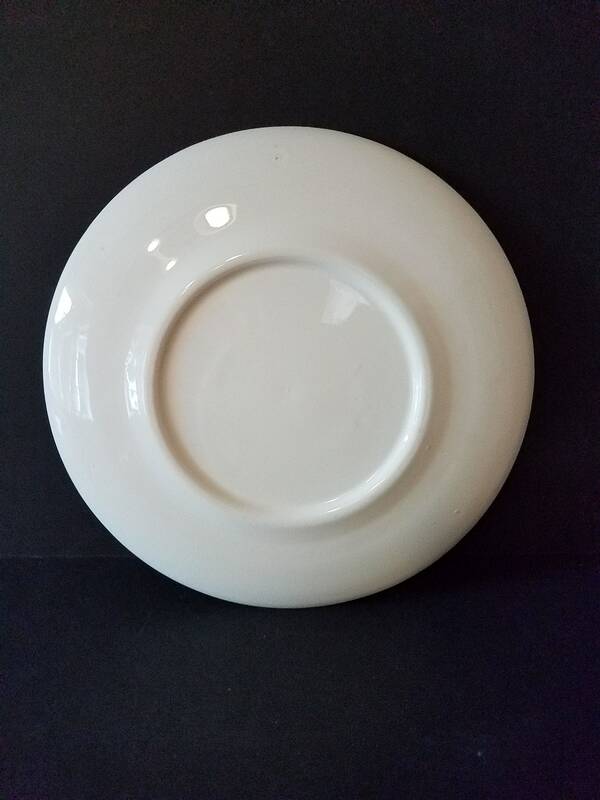 The crazing is in the clear glaze. These make lovely birthday gifts and look great on the wall, alone or with others. They can be collected by years, colors, or designs.